I have been working on canvas paper these last few weeks. My youngest was home sick with a tummy bug for over a week, which meant I was stuck at home. This left me working smaller again and working with acrylics. 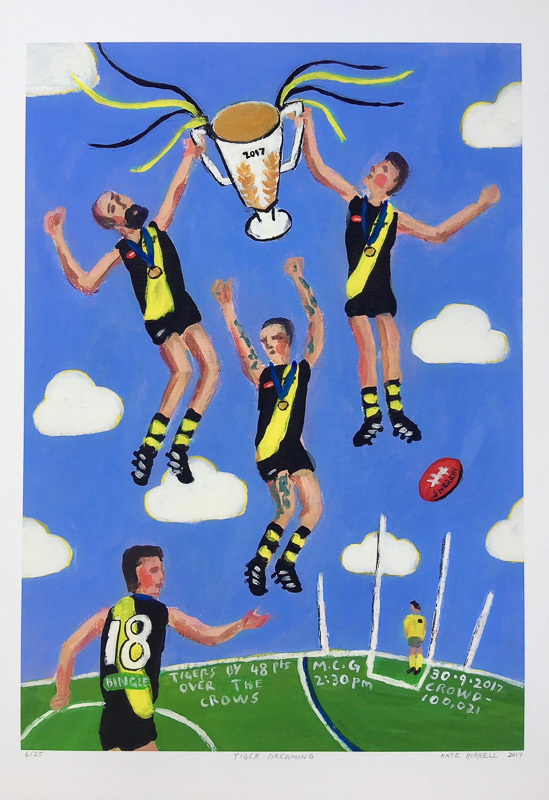 I wanted to work from the memories and feelings I had of the Doggies win, I think because it was such an all encompassing experience for Melbournians. The whole experience was uplifting and left us all feeling a bit Dog Mad. Image 2. 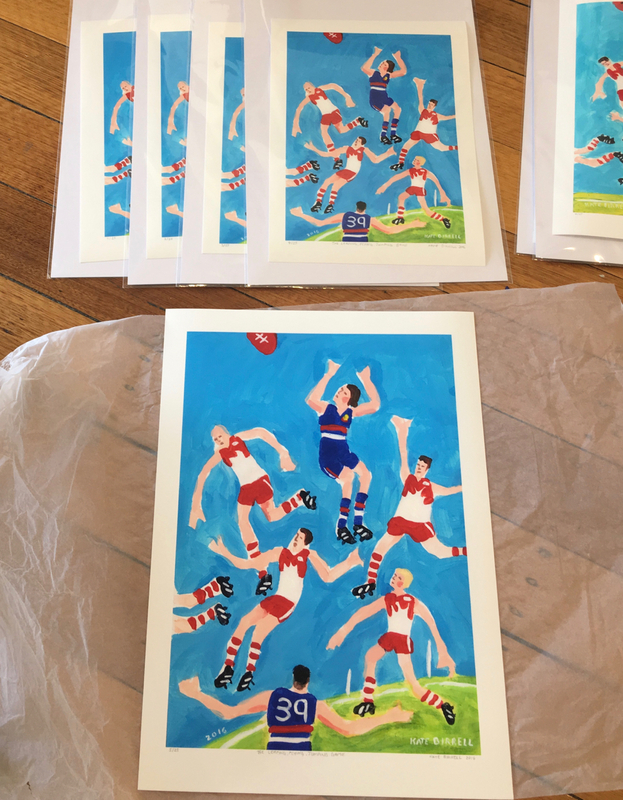 The Running, Jumping, Leaping, Flying Game, inspired by our prime ministers description of Aussie Rules footy last year. The prints are a signed limited edition of 25 per image, using pigment ink on Museo Max Archival paper.